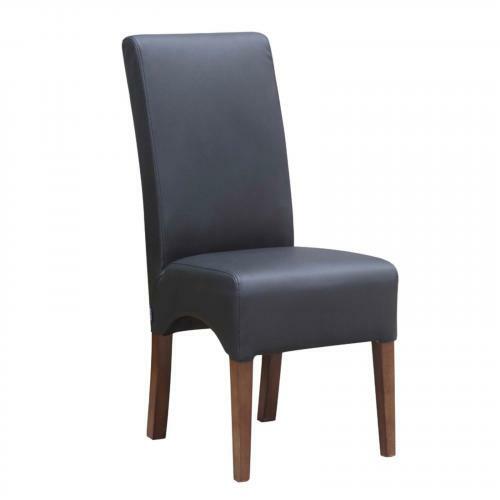 Enhance your dining room with this sleek and comfortable Dinata dining chair, covered in pu leather. Chair stands on sturdy wooden legs. Its simple shape gives it a neat look while it provides you with relaxed seating.